The Storied Life of A.J. 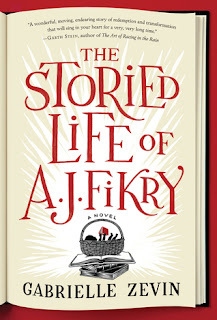 Fikry by Gabrielle Zevin is about A.J. Fikry who owns and lives above a bookshop on an island. Containing ample references to books and authors, this has been a favourite of book-lovers since it was released in 2013, but I only had a lukewarm response to it. At times it read like a cozy mystery (baby left in the bookstore) and I didn't really care terribly much about A.J. 's journey through life, finding the supporting characters of Maya, Amelia and the Chief far more compelling. The highlight for me was when A.J. tells a new sales rep what kinds of books he likes. He finds it easier to tell her what he doesn't like, and it really cracked me up. I enjoyed reading it several times over. The Storied Life of A.J. 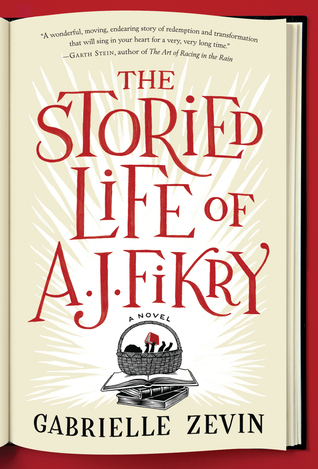 Fikry is recommended for book-lovers and anyone who has ever nurtured a desire at some point to live in a bookshop. Let's face it, that's most of us isn't it? Great Review and I love that excerpt. I'm sure I have this on my shelf somewhere. Must dig it out and read it, I think I'd enjoy this story. Thanks Veronica, I love that quote too and have come back to it often now that it's easily accessible on my blog :-) Let me know if you end up reading it.